Which Mario Kart Game is the Best? Almost every Nintendo console had a Mario Kart game released. Some of the Mario Kart games were innovative and some were flat out boring. For this list, I won't include any arcade games, so the Mario Kart GP games will not be listed. This game had the power to be an amazing game being the first portable Mario Kart game. However, with the limitations of the Gameboy Advance, the game was lackluster. The colors were not as vibrant as the Super Nintendo version, and the limitations of multiplayer kept this game from achieving greatness. Although Mario Kart Wii was probably the most popular Mario Kart game ever released, the game lacks innovation and attempts to please everyone. The game is not terrible, it just doesn't bring anything new to the table. It is extremely similar to all the previous Mario Kart games. The motion controls are difficult to master, unless you use the d-pad instead. Mario Kart 7 feels like a less amazing prequel to the awesome Mario Kart 8. The addition of the gliders felt like an afterthought before being mastered in Mario Kart 8. The track design and online play was mediocre. The leap into 3D was an issue for many game developers, but Mario Kart 64 simply killed it. 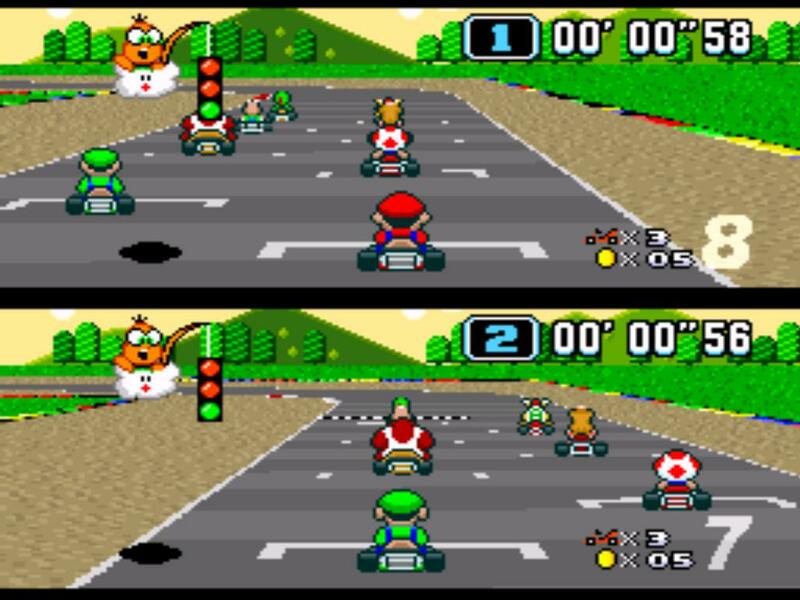 Barriers were made from 3D mountains and trees rather than 2D blocks in its predecessor, Super Mario Kart. Ramps jutted out of the ground and led to shortcuts. The jump to 3D added many more elements that Super Mario Kart couldn't use. 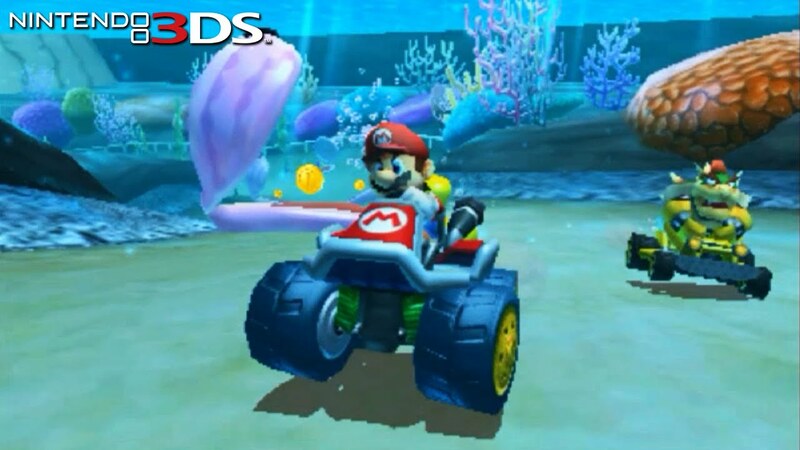 With 3D visuals clearer than Mario Kart 64, Mario Kart DS also allowed the customization of karts. It was also the first Mario Kart to allow online play. 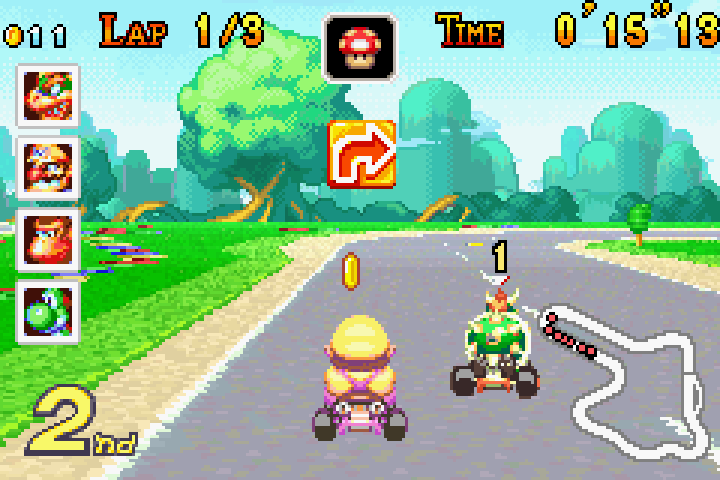 Single player mode was challenging, allowing players to unlock more characters and karts. Although Super Mario Kart lacks the density and complexity of its successors, it had challenging, inventive and beautiful courses. It was one of the first racing games to add items like mushrooms and shells to attack enemies and pass players faster. The best part of the game has to be Battle Mode. The goal of Battle Mode is to hit the other drivers with shells and bananas. The multiplayer aspect of the game made it more entertaining than some of the other games for the Super Nintendo. Read the story of how Super Mario Kart was created here. Perhaps one of the most innovative Mario Kart games, Mario Kart Double Dash took the elements from Mario Kart 64 and enhanced the aspects. Splattered with shortcuts and tricks, Double Dash felt like a imaginative world you could explore for hours. 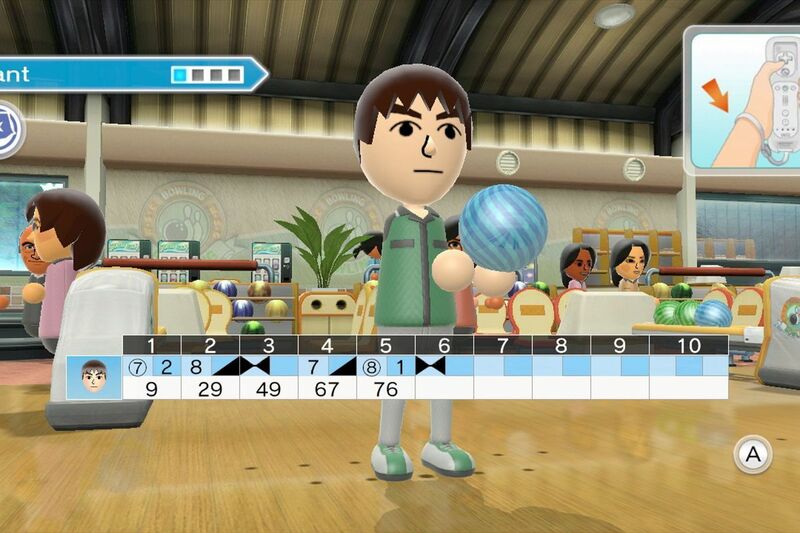 Players could experiment with weight classes and special effects with the two character karts. Players can also connect two Gamecubes together to have a giant 8-player race. Mario Kart 8 Deluxe is the most ingenious Mario Kart game. With the addition of zero gravity sections, the game offers never-before-seen thrills on its new tracks. The Super Horn, which pushes away everything within a certain radius, may seem like a pointless power-up, but players can use it against a blue shell. Time it correctly, and those pesky blue shells will be pushed out of the way. Battle mode is seamless, competitive, and fun. Overall, Mario Kart 8 Deluxe for the Nintendo Switch is the best Mario Kart game. Which Mario Kart game is your favorite? Tell us in the comments! If you also love Mario Kart, subscribe to Game Over Box. Game Over Box is a Nintendo themed subscription box filled with merchandise from your favorite Nintendo games mailed to you monthly!